In the heart of breathtaking Paradise Island adjacent to Nassau, Bahamas, a very rare residential opportunity will soon be available. Opportunities like this are extremely limited on this 685 acre island paradise. Offering majestic views of the blue Caribbean Sea, One Ocean will bring luxury Ocean living to one of the world's most desirable locations. Featuring 2, 3, and 4 bedrooms, these residences feature well-appointed interiors and large patios that function like outdoor living rooms. One Ocean will provide a home-away-from-home only with better weather, hypnotic views and boundless recreation! At One Ocean, getting away from it all doesn't mean being away from it all. One Ocean is situated in the center of the best things life has to offer. 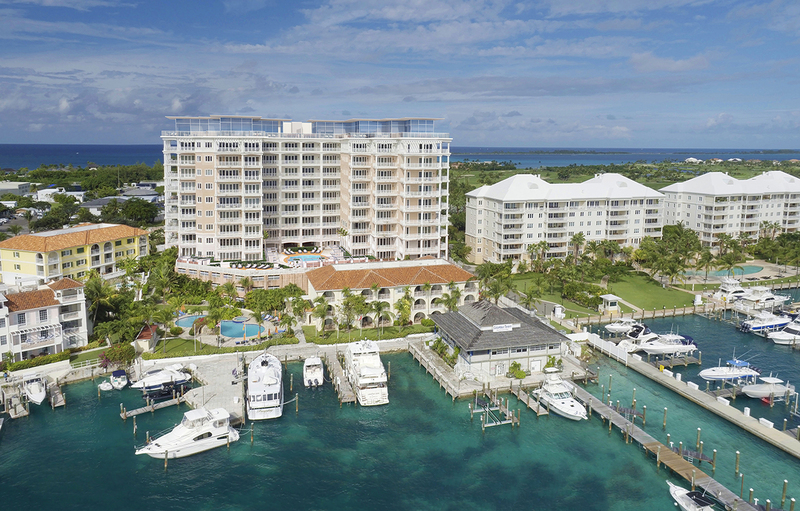 Located directly across from the refined elegance of One&Only Resort, the community is just steps away from the restaurants and nightlife of Atlantis, a leisurely stroll from some of the Bahamas' most beautiful beaches and within a nine-iron of the award-winning Ocean Club golf course. One Ocean is set amidst the gentle breezes and endless sun of a laidback Caribbean island. With nearly two-dozen restaurants within walking distance dining options span everything from casual poolside to formal elegance. Atlantis's imaginative playscapes provide hours of thrilling aquatic adventure for kids, while its nightclubs and casinos offer upscale fun for adults only--places to dance, gamble, and smoke a cigar. Featuring 10 stories of luxury living, One Ocean is Paradise Island's tallest residential building. Residences offer spacious patios with panoramic views of the turquoise sea. The panoramic views include surrounding islands, as well as sailboats and yachts setting out to sea. Look down and see the vivid greens of Ocean Club's masterfully conceived world class award-winning golf course. 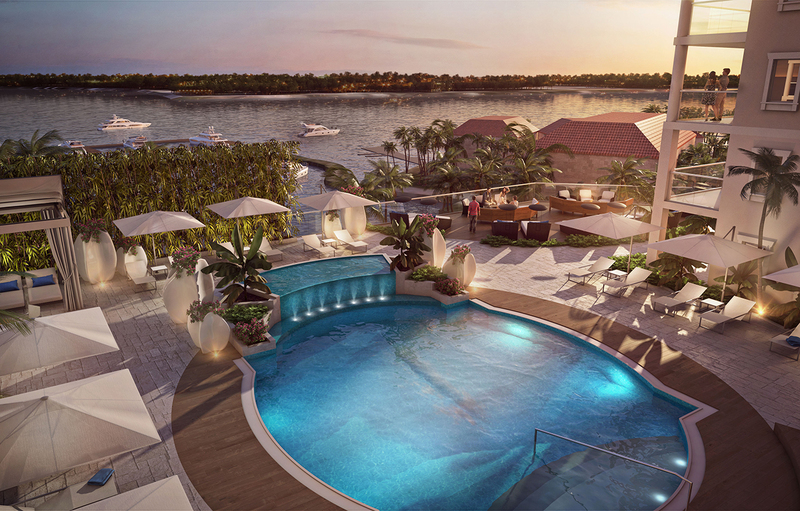 Residences have been planned to take advantage of the exclusive views and to connect you with enormous outdoor rooms that expand and enhance the living spaces. Contemporary en suite bathrooms are designed with sleek pocket doors that open up the space and bring daylight and views into the bathroom. Master bathrooms are appointed with pedestal baths and oversized spa like showers and separate water closets for ultimate luxury living. Upscale plumbing fixtures by Kholer are used throughout. 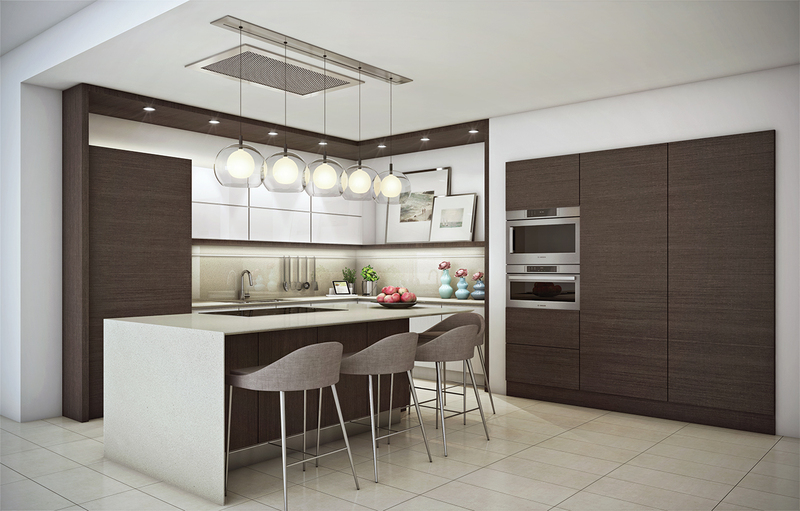 Internationally renowned Italkraft kitchens with quartz counter tops, fully integrated top of the line appliances including Wolf, Bosch and Sub Zero and plenty of storage space, making it the perfect place to entertain friends or invite family for the holidays. Open plans make entertaining easy in a casual, relaxed island style, with nine-foot ceilings and oversized windows allow the warm daylight to bathe the interiors and make the most of the panoramic views and idyllic climate. Interior flooring finishes run to the outside and flow into large terraces, so guests will roam between interior and exterior living rooms. Oversized 24" x 24" high quality porcelain tiles are installed through out the home resulting in one lavish seamless living space without noticing where one ends and the other begins. Special attention is paid to every detail including the high quality millwork thru out. Custom designed eight-foot high satin gloss German Doors with sleek flush mounted frames and baseboards are shop finished only found in luxury custom homes. One Ocean's interiors are professionally designed with that alluring beach-sea-sky-pool palette, resulting in rooms that are luxurious yet calming, elegant, yet casual. The indoor environment is soothingly similar to the outdoor elements, with color stories, materials, and textures chosen to pleasantly blur the lines between indoor and outdoor living. Things get even more interesting in a One Ocean penthouse. Featuring two stories of Bahamian luxury, a grand staircase opens to an entertainment lounge flooded with natural light. Bathrooms are state-of-the-art and some homes have a second master bedroom, making them ideal for guests who want to stay for a while. At garden level, One Ocean's breezeway and pool deck create a transitional space between the neighborhood and residences. In this relaxing retreat, leisure is the name of the game. Take a dip in the pool, recline on a lounger or nap in the shade of a cabana after an enjoyable day at the beach, sailing or shopping. The pool deck and courtyard are a lushly landscaped, calming space that says 'welcome home.' Wood-like flooring and porcelain tile suggest a spa environment and cabanas have adjustable drapes providing options for how much sun, how much shade, how much sea view or how much privacy is desired. Large, sculptural vases and green space throughout add to the relaxed mood. Outdoor garden rooms include a sunset lounge, a covered lounge and a trellised seating area. Vacation time may be about relaxing, but it's also easy to fit in many of the things that never get done at home. 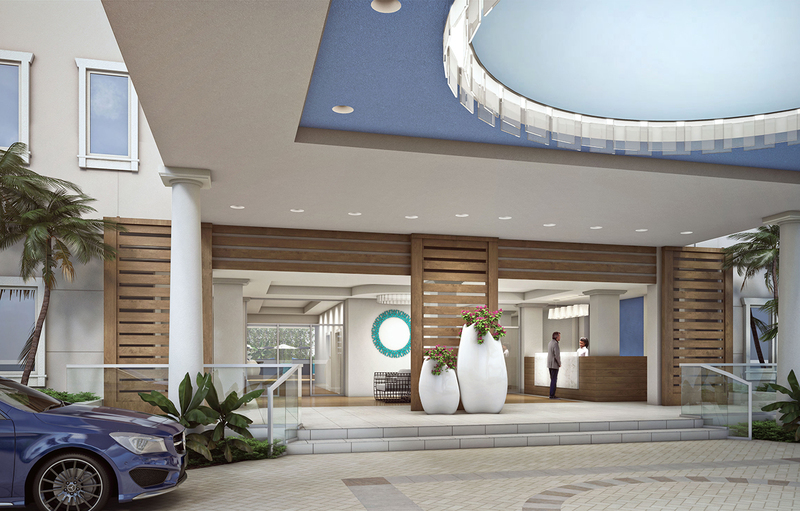 Just off the pool deck is the residents-only fitness room, a space for yoga and meditation, cardio and sculpting. Jump on a recumbent bike or a cross-trainer in the air-conditioned gym or work out with weights. As well as having a private gym, One Ocean is close to a vast array of activities. 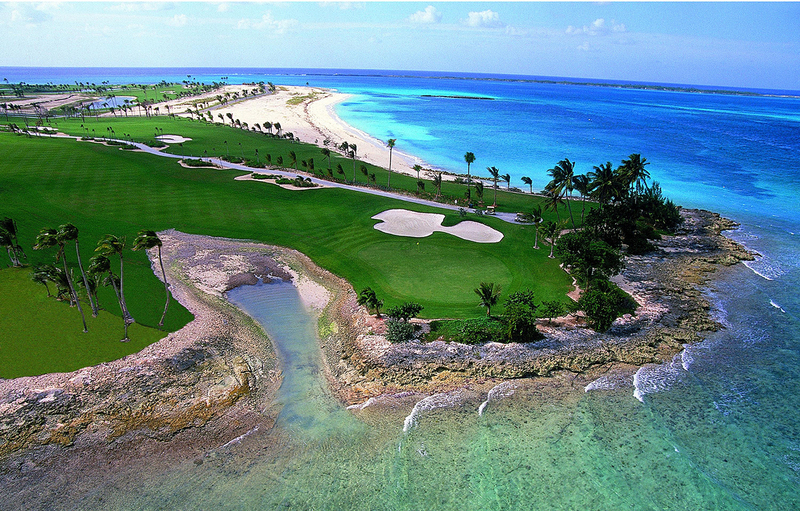 Play a few holes of golf at the Ocean Club course next door. Run on the beach early in the morning, before the sun gets too high. Swim or work out in One Ocean's luxurious pool or snorkel the calm waters of the Caribbean. Try kite-surfing; Paradise Island has beaches to suit all levels. Nassau Harbour is right around the corner for the adventurous, with opportunities to set sail or go scuba diving, fishing or racing. 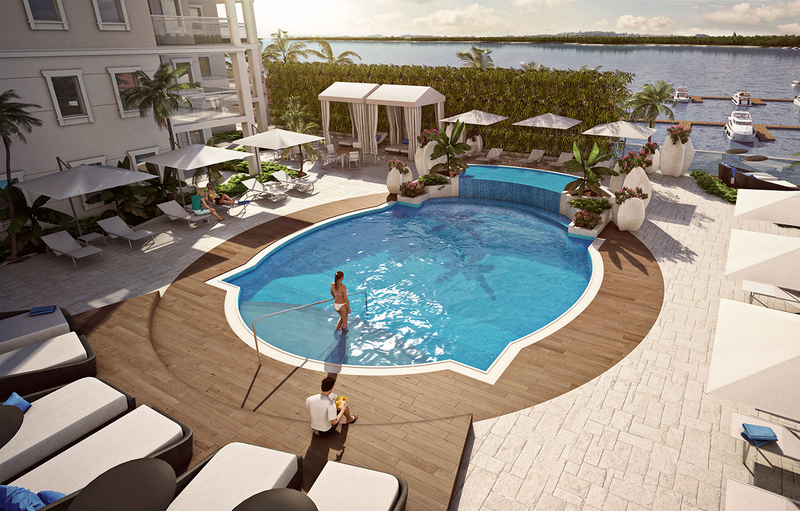 A limited number of waterfront residences starting at $750,000 will be made available for sale in May 2016. Demand is expected to exceed supply so they have instituted a Priority Reservation Program for this initial release. For additional information or how to secure your own Priority Reservation visit One Ocean website.